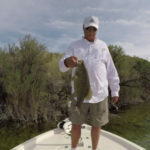 After spending too many days watching boats go up and down the river while sitting in the casinos at Laughlin, my husband and I used some of those winning dollars to buy ourselves a boat and ride on the river all day/gamble all night. 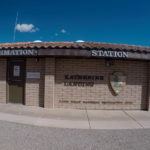 But after just a few visits on the river itself, where we felt over-run, beat half to death by the choppy water and just not into the cold water of the river, we decided to check out Katherine Landing and Lake Mojave. We were completely hooked! Although the launch at Katherine can sometimes be very congested, if you time your launches and pull outs just right there is really not too much hassle. The lake itself is a sight to behold! 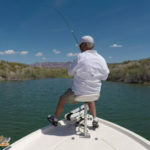 Lots and lots of secluded coves to skinny-dip in…I mean explore, the open basin as you head north towards Cottonwood Cove, the rocks to climb and even wild life (not the skinny dippers, but real critters). 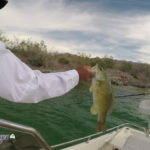 It has been our experience that the boaters tend to be mostly families; we have run across a few “Yahoos”, (and everyone needs to be a Yahoo once in a while), but not nearly in the numbers you’d see towards the Sand Bar or Lake Havasu. 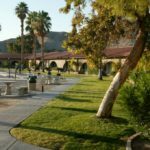 Don’t get me wrong, we love a visit or two to those places each summer, but it’s the easy going attitude that draws us back to Lake Mohave summer after summer. 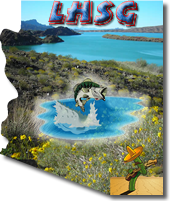 If you’re looking for a place to boat where you very seldom need to worry about letting your kids tube without them getting run over by other boaters who may not be paying attention to other boats, this is definetly the place to go!